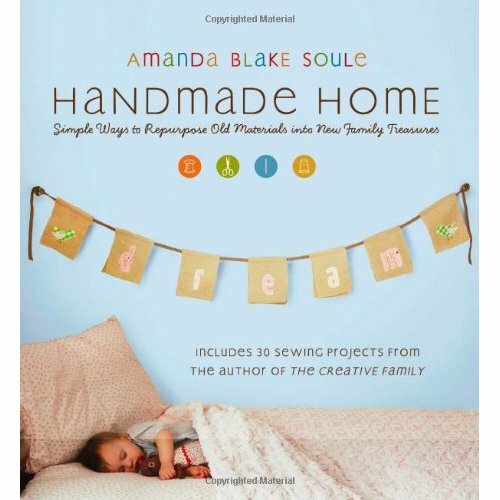 If you don't already know about her, you have to check out this awesome mama/writer/pioneer/artist... I just got done going through her Handmade Home book. I am completely smitten with the concept of handcrafting things for your home that nurture your family, entertain your children, mother your sick, and personalize your space. I swoon a little bit every time I read through the pages and gaze longingly at the pictures. I am reminded again and again what the purpose of my life is at this very moment, for my three-year-old and husband--to nurture my family and carve a loving home. I did, however, actually complete one of the projects in the book. Yay me!!! Mind you, my sewing machine had tragically been sitting unused for at least five years before this. I suddenly had a strong desire to make something that had a certain purpose in my home that I couldn't find any other remedy to. My husband has this annoying habit of grabbing a second towel to put on the floor for his feet. It's sloppy, but I didn't have any better solutions. We had tried a carpet square, but the second that that started, um, smelling, I had to throw it away. It was unwashable. Enter the washable bath mat. Hooray! This was also the least intimidating sewing option for my rusty skill. I found a microfiber cloth at the dollar store and a pillowcase at the thrift store. 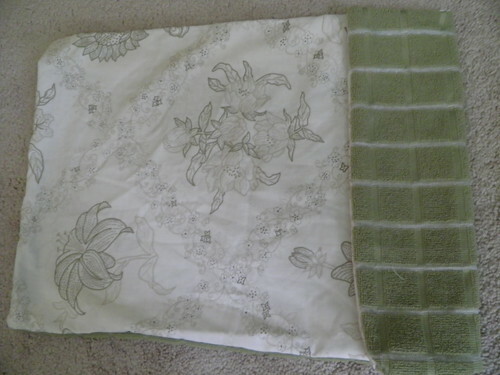 I cut a piece of the pillowcase fabric the same size as the towel, sewed 'em both together, and voila! I got a tiny bit lazy and skipped the part about layering towel pieces over the top, so it doesn't look quite as cute as Amanda's. But it works! In putting together one's sewing toolkit, Amanda also suggests finding a sewer's user manual. 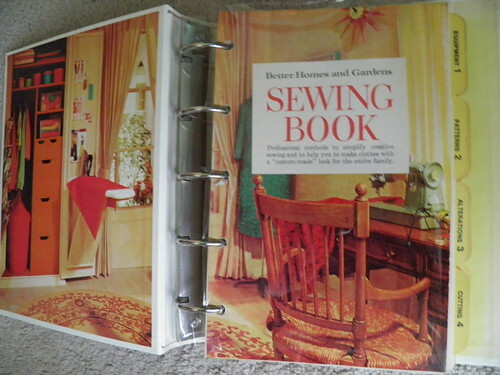 She says new or old, the basic sewing principles have not changed much. 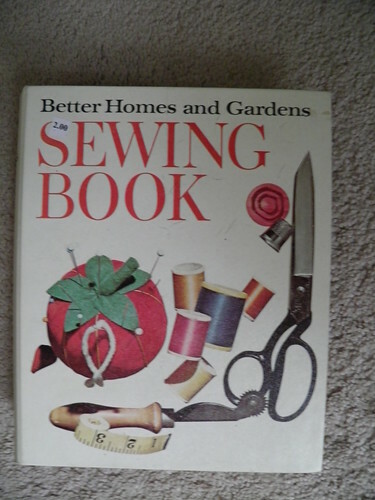 Guess who was a little giddy when she snagged a vintage copy of the Better Homes and Gardens Sewing Book in mint condition? Oh yeah. And that $2 price tag tasted oh-so-sweet. Look how sweet the old-time pictures are. 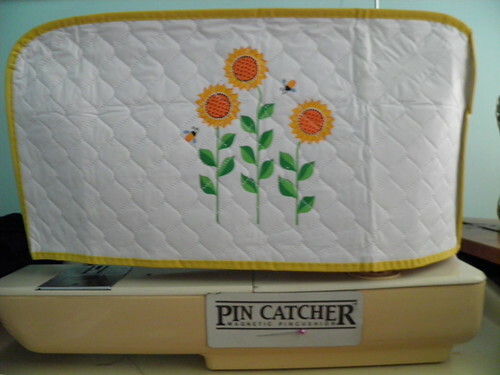 To top off all the great feelings and motivation that came from making something practical with my own two hands, I even thrifted a new sewing machine cover. Ok, I think it was intended to be a toaster cover, but it fits over the guts of the machine perfectly. And the sunflower print was much too perfect to pass up.